If you’re contemplating a major home remodel, there are three things you must do before the work starts. Making up the list of things you want for your remodel is one area where you can be wildly creative. You can consider everything from gold plated sink fixtures to Moroccan leather on the floors and walls. Reality will set in when you discover how much all of that costs, but that doesn’t mean you need to settle for inferior product. 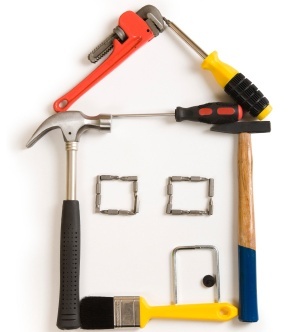 Your income, expenses and savings will largely determine how much you can spend on a remodel. Like millions of other people, you might need to take out a loan to get the remodel you really, really want. In that case, it’s time to consult with the bank to figure out the loan that’s right for you whether it’s a second mortgage or a home equity loan. This will take some time but it’s worth it. Even if you’re going to mostly do your own home remodeling, there are still subcontractors whose expertise you may need, like plumbers and electricians. Certain types of countertops, like those made of stone or solid surface, must be installed by a professional or else the warranty is voided. Find a good contractor by asking friends, relatives and neighbors in the area, looking one up in the town’s Chamber of Commerce or in a local branch of a professional organization. Vet about three or four of them, then put the job out for bid. The contractors should respond in about two weeks. The usual procedure is to discard the highest bid and the lowest bid, but this isn’t written in stone. Then, draw up a contract with the contractor who you’ve chosen. If the remodel is going to encompass most of the home, it’s imperative to get the furniture out of the way for a while. A homeowner’s whose garage is already full to bursting will need to rent a storage unit and not just any storage unit. First, the furniture will need to be stored in a way that won’t damage it in a unit that’s climate controlled. The facilities should also have access gates that are computer controlled. The padlock should be sturdy and there should be enough room around the storage area for moving vans to come in and out. For all this and more you should contact the Storage Center and check out their website at www.thestoragecenter.com.